5 Best Local Multiplayer Games for Android: Spend Your Quality Time with Your Family or Close Friend! Technology could make people closer, we could play online games with someone who live faraway. However, sometimes it makes distant to the people who are close to us. It is not uncommon to see each person in a group of people busy with their own gadgets. Nevertheless, it is important to spend your quality time with your family or close friend. Local multiplayer games are perfect to spend time with your relatives and friends. These local multiplayer games app fulfill that purpose. Gentlemen! is a victorian era-themed head-to-head arcade battle. Ask your friend or relative to play this game together. Play the game on the same screen with knives, bombs, homing pigeons, and so on. It has opposite sides controls. So, you can sit across from your rival, then compete with each other. For your information, it is best to use a tablet that has 7-inches screen or bigger to play this game. 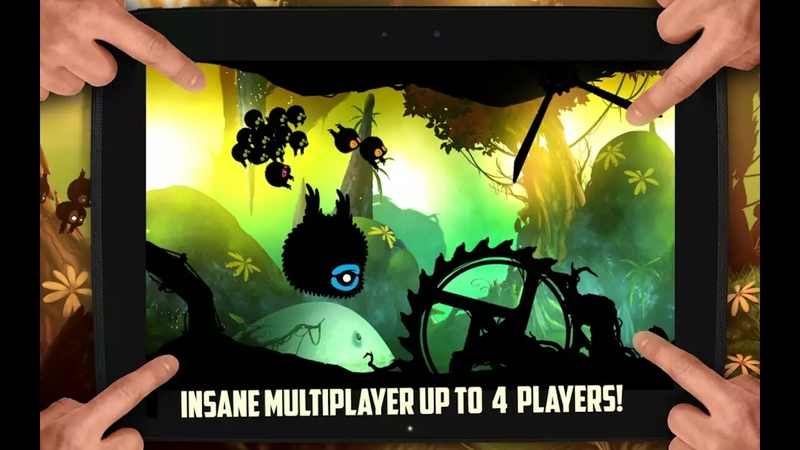 BADLAND is an epic side-scrolling adventure platformer. Play this fun game with with your friend or family. Go through the obstacles and survive the game as long as possible. In addition, you could sabotage your friend! It will improve your odds. However, you could use its co-op mode if you’re feeling nice. 4 Player Reactor is a classic game to play with other. Initially, you and your friend(s) take position. Up to four players could play this game. The game consists of 18 mini games. Those mini games randomly repeat quickly. 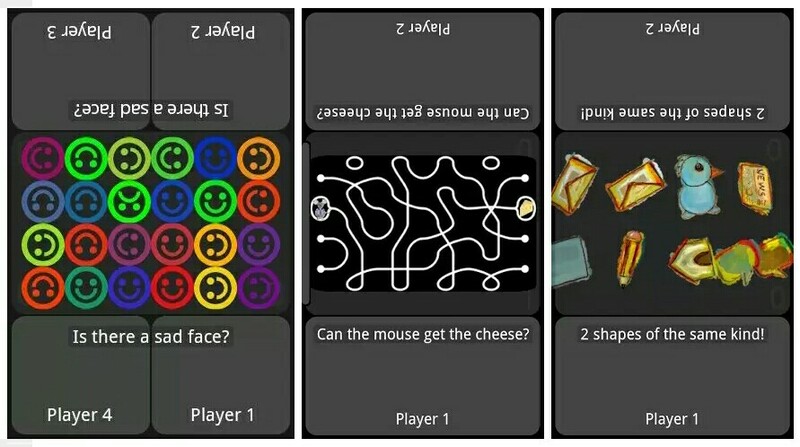 The game will ask your friend(s) and you to solve the given mini games. Each of it need a fast reaction. Earn points by quickly solve the games. However, wrong answer will result in negative points. The mini games consist of finding a sad face emoticon in a crowd of smile emoticons, finding the answer of mathematics equation, and many more. 4. Battle Slimes by Dodreams Ltd. Play this colorful games with your friends or relatives. Stomp or hit your rivals’ slimes with the colorful bubbles. 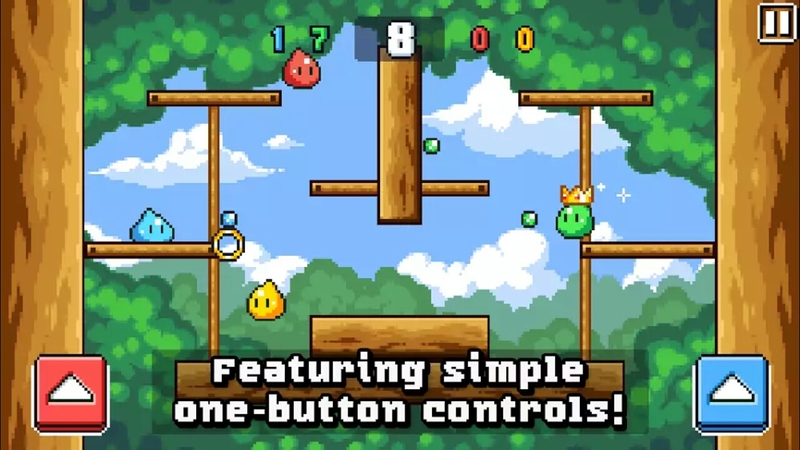 This platformer/shooter game features simple one-button jump controls. You could play against the computer or up to four friends in matches. There are two different game modes to play. Also, there are four different battle arenas to pick. 6 Takes is a kind of card games. You can play by yourself or with others. Choose to play with 2D or 3D mode. Both are smooth to play. There are three levels of difficulty. How to play the game? You need to avoid getting the cards. There are points on each bullhead. It costs you points for each bullhead on it. If you get a sixth card, you must take all five cards of the row. Your collected bullheads’ points will added to your minus points. 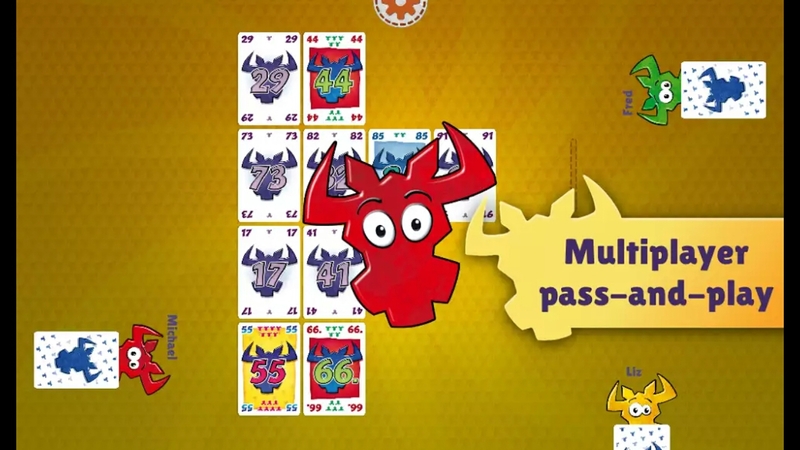 The player who has the fewest bullheads at the end of the game is the winner.